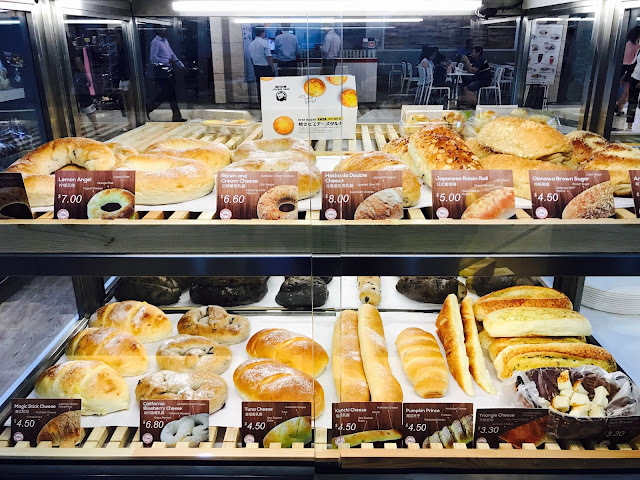 Today, I would like to introduce to you a bakery that I personally like very much – Duke Bakery. 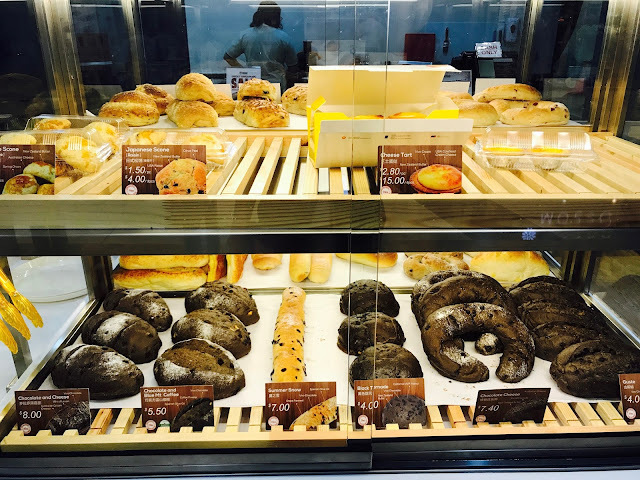 Duke Bakery combines quality European ingredients with bread-making techniques from Japan, Europe and Taiwan to create artisan bread that is not only aesthetically pleasing to the eye but healthy and delicious too. 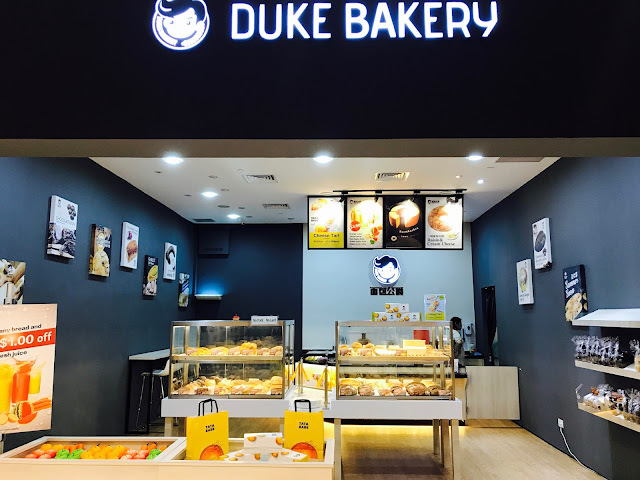 Since the opening of its first outlet on 27 October 2013, Duke Bakery has enjoyed immense success with many outlets around Singapore. 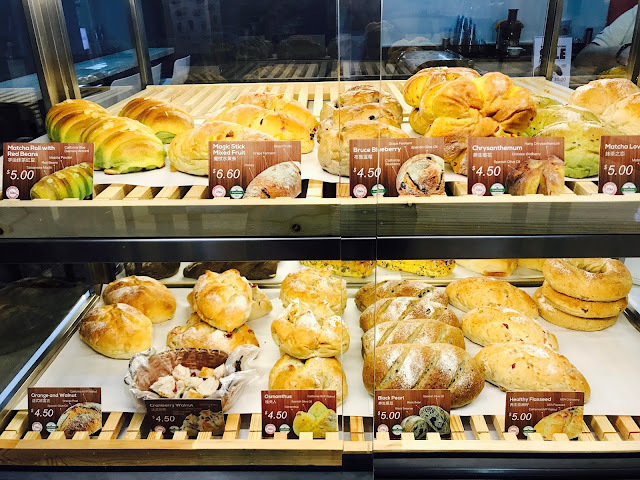 Duke Bakery offers more than 50 different types of handcrafted pieces of bread ranging from Japanese Scones and Chrysanthemum to Healthy Flaxseed and Cranberry Walnut. 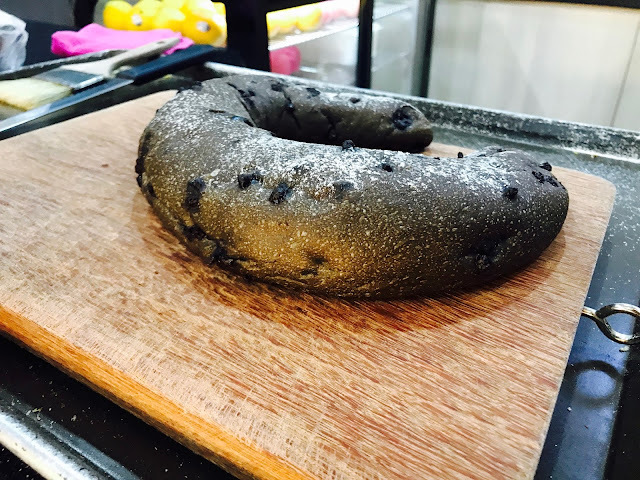 I especially enjoy Chocolate Cheese where the black bread is made with Australia butter and Vivo chocolate encasing a ring of Australian cream cheese. 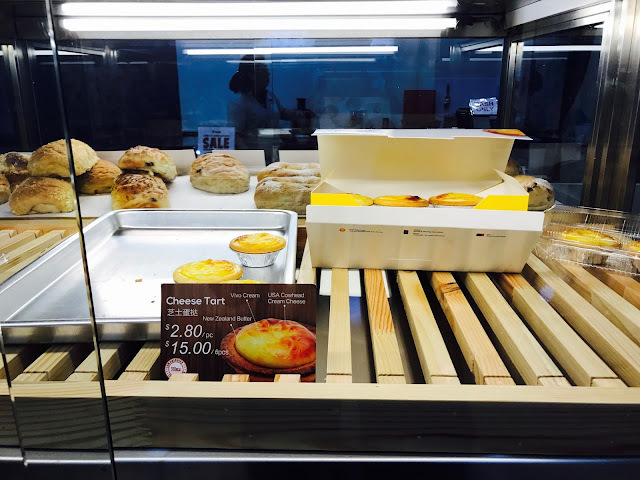 Duke Bakery has recently launched a new product, Cheese Tart. I bought a few to try with my colleagues and found that the cheese is too pungent that I can’t really taste anything else. 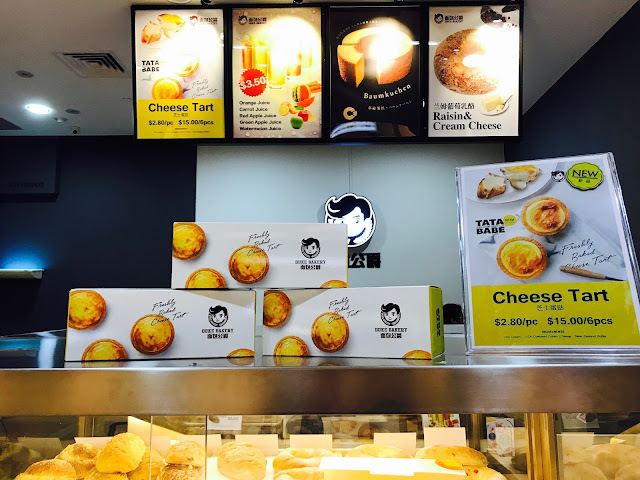 Besides selling bottled cold drinks such as Ginseng Chrysanthemum, Roselle, Cane Barley, Special Honey, Lemongrass Lime and Red Dates Longan, Duke Bakery also has freshly-pressed fruit juices. 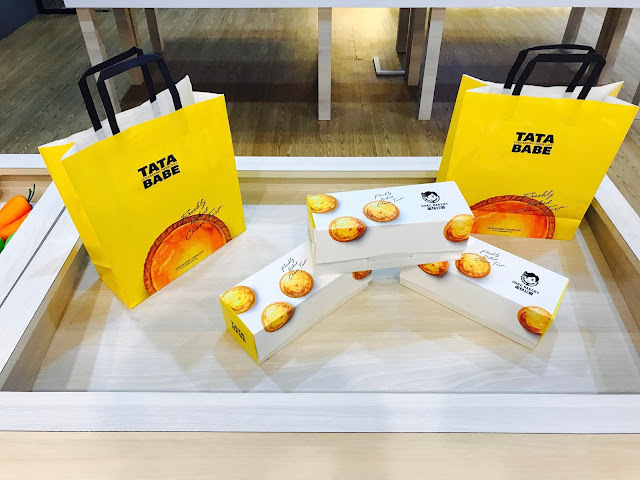 Addresses, telephone numbers and opening hours of all 22 outlets in Singapore, USA and China can be found here.